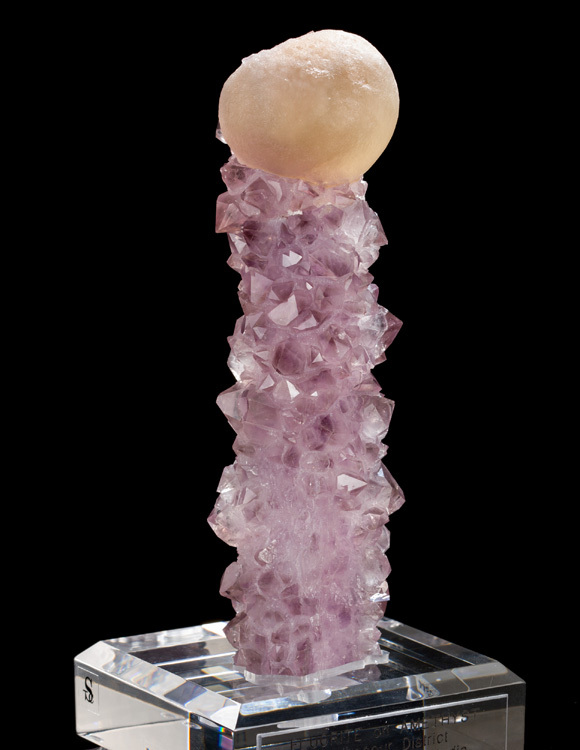 This is the most unique and awesome fluorite-on-amethyst combo from India that we've ever seen! 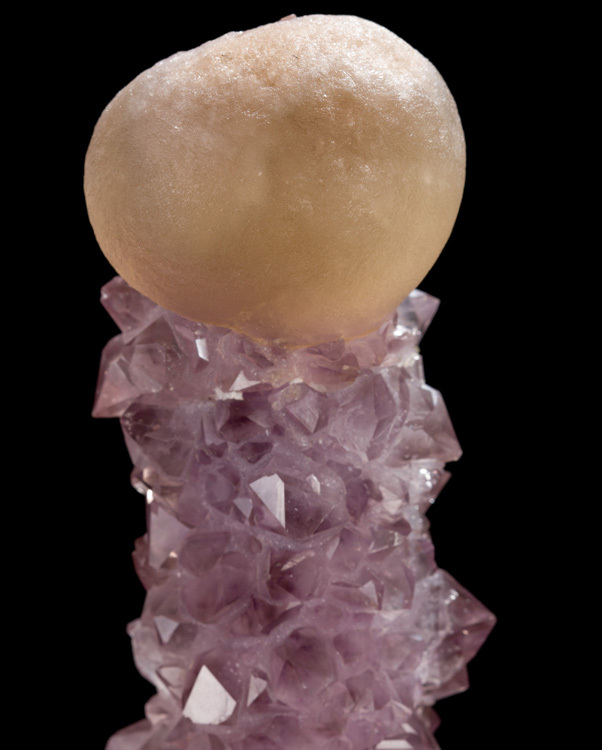 Usually, when you see these yellow fluorite balls they're just laying on a bed of pale amethyst, but this oddity is one of a kind. 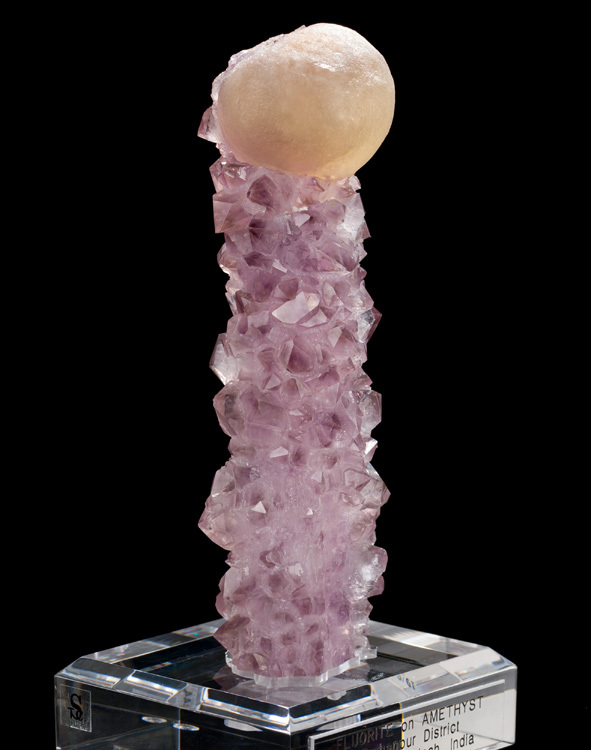 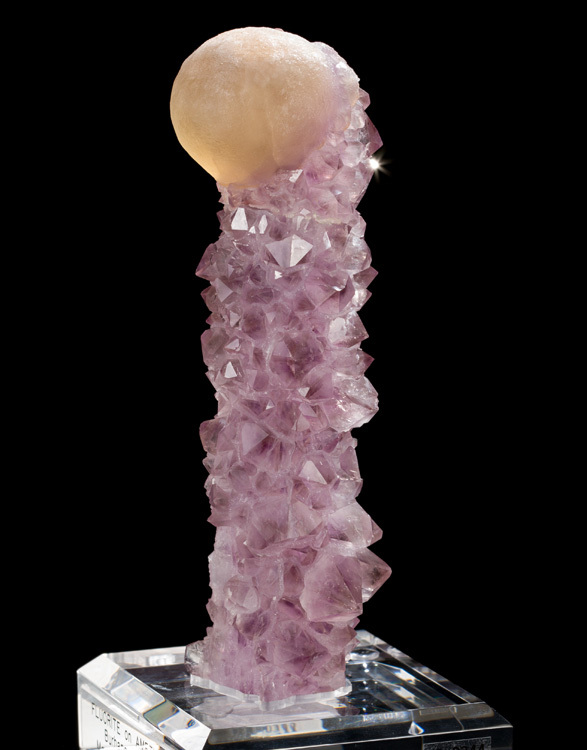 Here is a tall, column of amethyst with the fluorite ball perched perfectly on the top giving it a somewhat phallic appearance. 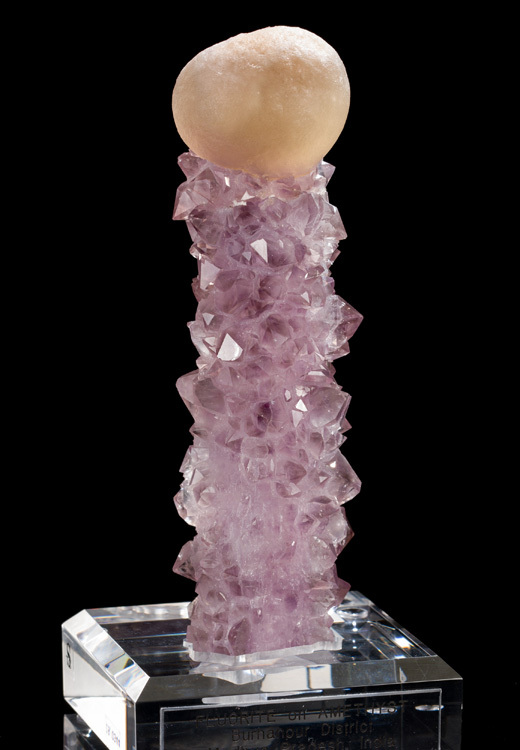 This specimen is totally natural - the fluorite and amethyst are intergrown, so there's no chance that this was made up. 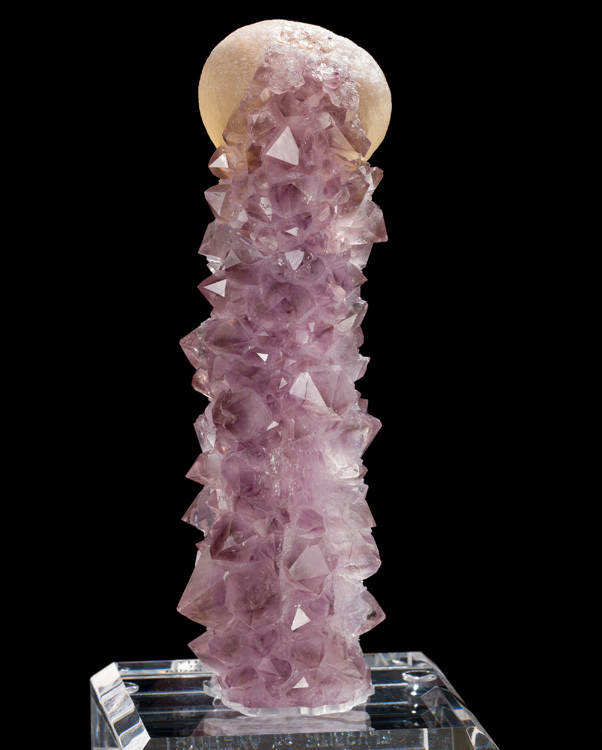 However, there is one repair to the amethyst stalk near the top. 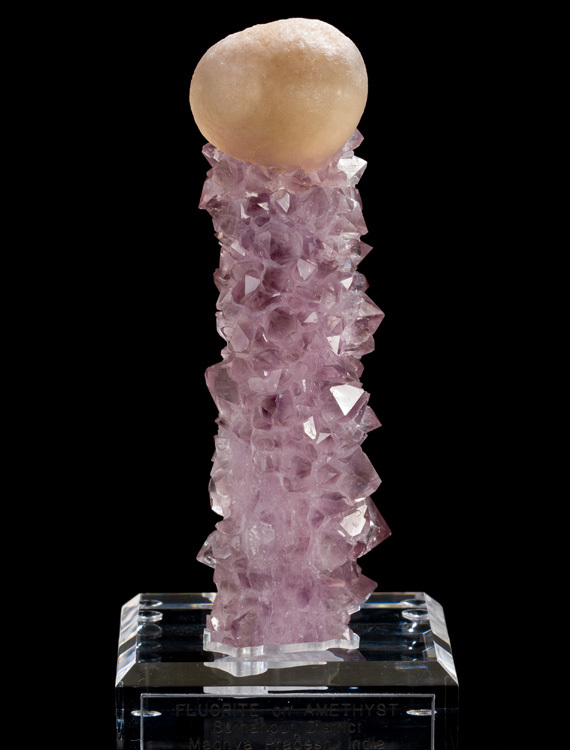 The specimen comes with a custom Sunnywood acrylic display base.